Tzippy Goldman was born for marriage. She and her mother had always assumed she’d graduate high school, be set up with the right boy, and have a beautiful wedding with white lace and pareve vanilla cream frosting. But at twenty-two, Tzippy’s fast approaching spinsterhood. 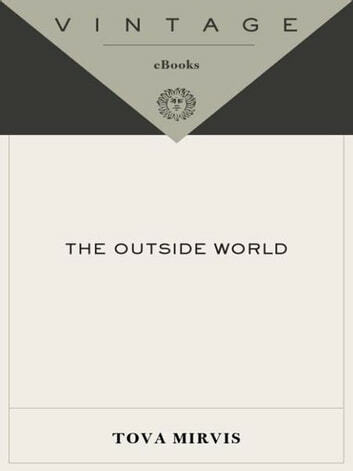 She dreams of escape; instead, she leaves for a year in Jerusalem.There she meets–re-meets–Baruch, the son of her mother’s college roommate. When Tzippy last saw him, his name was Bryan and he wore a Yankees-logo yarmulke. Now he has adopted the black hat of the ultra-orthodox, the tradition in which Tzippy was raised. Twelve weeks later, they’re engaged...and discovering that desire and tradition, devotion and individuality aren’t the easiest balance. 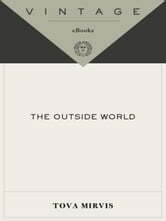 Hilarious, compassionate, and tremendously insightful, The Outside World illuminates an insular community, marvelously depicting that complicated blend of faith, love, and family otherwise known as life in a modern world.